The 2001 vintage of Château Rauzan Ségla is a well-developed, ruby red, Margaux with a creamy soft texture - both elegant and fresh. It has an open nose of fruits and floral tones, spice and tobacco. 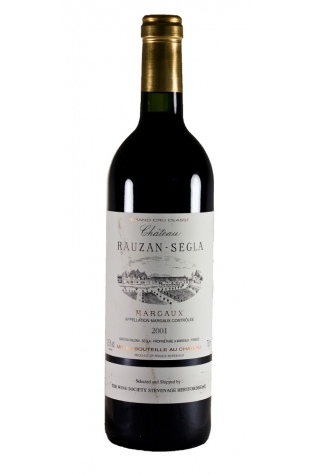 The 2001 vintage of Château Rauzan Ségla is a well-developed, ruby red, Margaux with a creamy soft texture - both elegant and fresh. It has an open nose of fruits and floral tones, spice and tobacco. Although not quite as refined as the excellent 2000 vintage this remains a great wine that is ready to drink now and will not develop much more over time. Château Rauzan Ségla was classified as a Second Growth under the 1855 classification.